Guru Purnima is one of the most awaited and religiously significant Hindu festival. This day is celebrated on a full moon day in the Ashadha month, as per the Hindu Lunar Calendar. On this day, individuals worship their teachers, gurus or mentors. Observance of Yogic Sadhana and meditation on the day of Guru Purnima are also considered to be very beneficial. Guru Purnima is also known as Vyasa Purnima and celebrated as the birth anniversary of Veda Vyasa. Veda Vyasa is the writer/author of the Hindu epic, Mahabharata. In Hindu religion and Indian culture, Sri Madhvacharya, Adi Shankara, and Sri Ramanuja Acharya are revered as some of the notable Gurus. Disciples of Gautam Buddha also honor him on this day. It is believed that Lord Buddha delivered his first sermon on the day of Guru Purnima. As per Hindu Calendar, Guru Purnima will be observed all across India on the Ashadha Purnima (full moon day in Ashadha Month). To see Guru Purnima Puja Auspicious Time and Date please visit on Choghadiya link. Guru is a person or a mentor who drives out all the fear and ignorance. In the words of Ramakrishna Paramhansa, ‘He alone is the genuine teacher who is illumined by the light of true knowledge’. Our teachers help us in connecting with the true Guru within us. It is believed that our Guru resides in our Vishuddha Chakra in the throat and awakens when we deliver ourselves to our higher self. The main significance to celebrate the festival of Guru Purnima is to abide by the teachings of our respective Gurus and to pay tribute to them. This day is dedicated to those Gurus and teachers who made our life valuable and worth living. The word Guru is made up of two words - ‘Gur’ meaning darkness and ‘Ru’ that is opposite of darkness. So, the word Guru signifies someone who gets us away from the darkness of ignorance and enlightens us with knowledge and awareness. The importance of this festival lies in the very meaning of this word. 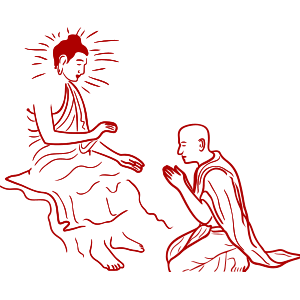 It is known that the festival of Guru Purnima was first celebrated by the Buddhists to honor their Guru, Gautam Buddha. Similarly, Hindus started paying homage to Vyas Muni on the Guru Purnima day. Therefore, Guru Purnima is also known as Vyas Purnima. This festival is also celebrated as Gyaan Purnima owing to its association with our teachers. On the day of Guru Purnima, the devotees take a bath and put on new clothes before they offer their prayers and tribute to their respective Gurus. Guru Purnima is celebrated by all the Hindu disciples. They recite this Shloka while remembering their teachers. Guru Saakshaat Parabrahma, Tasmai Shri Gurave Namah.. It is believed that if the Guru is not alive, his picture or portrait is worshiped with all the rites and rituals and recital of Mantras. Guru Purnima is the day to celebrate in remembrance of our teachers and mentors. mPanchang wishes you a Happy Guru Purnima!